It’s summer, the beaches are packed, and you can’t decide whether to hit the beach or go for a bike ride. Well, you can do both on beaches where the sand is compact enough to support a comfortable ride. Of course the off-seasons are best when the crowds are less, but these rides are doable any time of year. Here I present four of my favorite beach rides, all at beautiful locales where there are no paved trails adjacent to the beach. On the west coast are Pismo Beach, California and Cannon Beach, Oregon. On the east coast are Hilton Head Island, South Carolina and Daytona Beach, Florida. 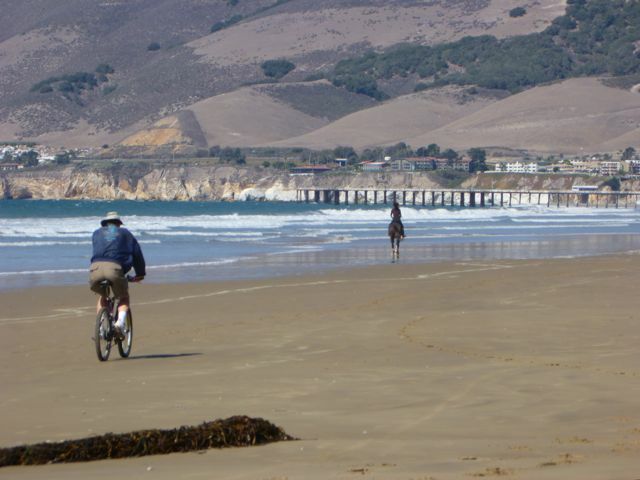 If you have your own favorite beach ride, which should be at least 4 miles each way, please let me know! 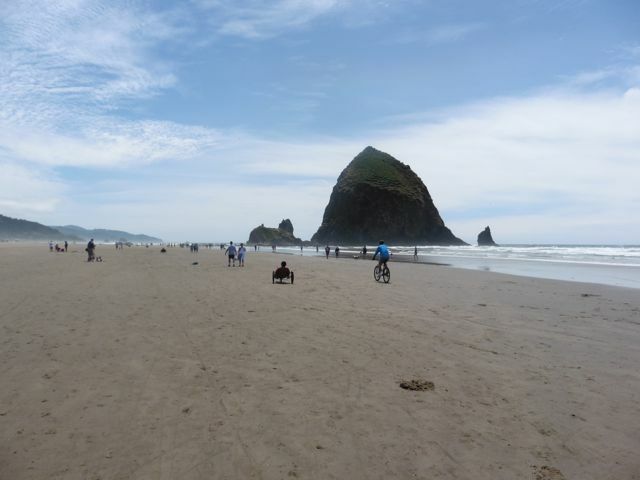 CANNON BEACH, OREGON Even when most crowded, like here on July 4th, the wide beach is very rideable and the adjacent cute town is perfect for a post ride meal. 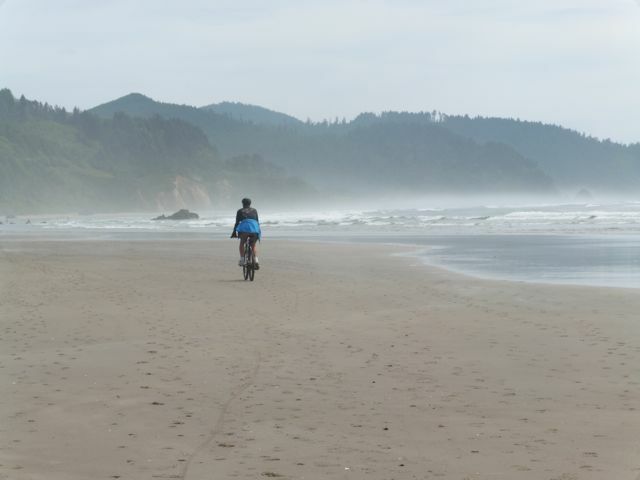 Even on crowded days you can find solitude along 5 miles of fabulous beach riding in Cannon Beach, Oregon. PISMO BEACH, CALIFORNIA The firm sands here support vehicles, however they are not allowed within the Pismo Beach city limits which much improves your lot. Much longer rides are available if you’re willing to ride farther afield alongside vehicles. Stop in for some famous clam chowder at Splash’s Cafe in town post ride, and see the migrating monarch butterflies at the state beach south of town in winter. 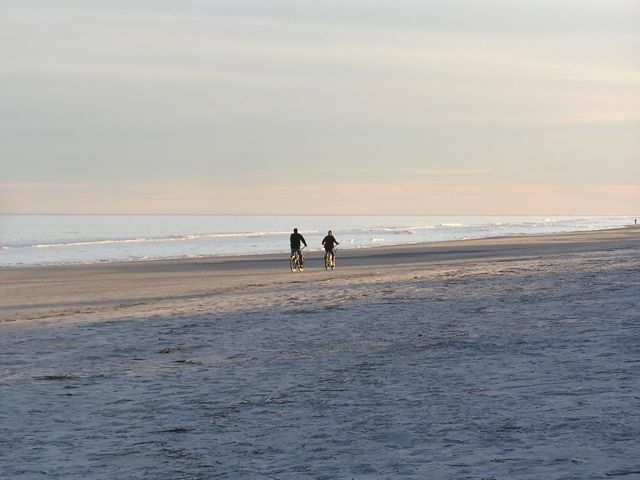 HILTON HEAD ISLAND, SOUTH CAROLINA Miles of beautiful firm sand await at this resort area famous for golf and tennis. Bike trails run along the main roads around town as well to transport you to your accommodation and the island’s restaurants. 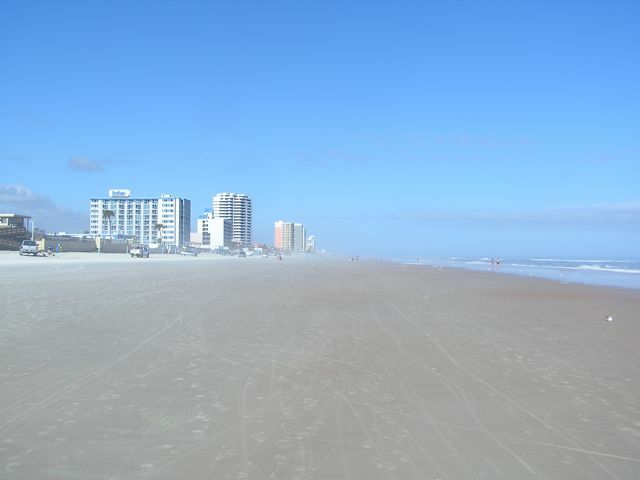 DAYTONA BEACH, FLORIDA I was skeptical about riding here because of the popularity of driving cars on the beach, however they are relegated to a sand road along the high tide area leaving the nice firm low tide zone to bikes and beachgoers. Some sections are even off-limits to cars but bikes can carry on. And of course there’s plenty of places to eat on the adjacent strip.